Writing synthesis essays is hard, but it doesn’t have to be – at least, it won’t be if you read this guide! Contained within this godsend of a blog post is a definitive guide to end all definitive guides which will gladly tell you all that you ever wanted and needed to know about synthesis essays. By the end of this blog post, you will, in all likelihood, be able to christen yourself with the title of master of the synthesis essay, where once you were but a mere novice, a mere newbie! But I digress. Let’s get back to the matter at hand. In order for you to become a master of the said essay type, your training must consist of a logical and well-thought out programme that is full to the brim with helpful information. Luckily for you, we have such a programme right here! You’re looking right at it. Now that you are aware of the route our programme of learning will take, without further ado, we can get started. 1. Synthesis Essays: What are they? Before we delve into the deeper, more gritty information about synthesis essays, you must first acquaint yourself properly with this often misunderstood and often feared type of essay. I can’t say I really blame them, however. Those words do conjure up intimidation, and mask themselves as an insurmountable, daunting task. Or at least, they can if you do not take the time to understand it first – to befriend it, chat with it, and get to know it a little better, if you catch my drift. While the feat of turning into an inanimate object such as an essay committed to a piece of paper has yet to be achieved by any human being or recorded in any history book, it is quite possible to learn more about synthesis essays without literally becoming them. Rather, it would be best to learn what a synthesis is at its most basic level. Maybe then, your fear of this type of essay will dissolve. Maybe then, you can think of befriending and conquering this type of essay. To achieve such a miracle, we will need to call upon our loyal friend – the dictionary. In normal people terms, then, synthesis, at its very core, can be understood as forming something from parts of other things. 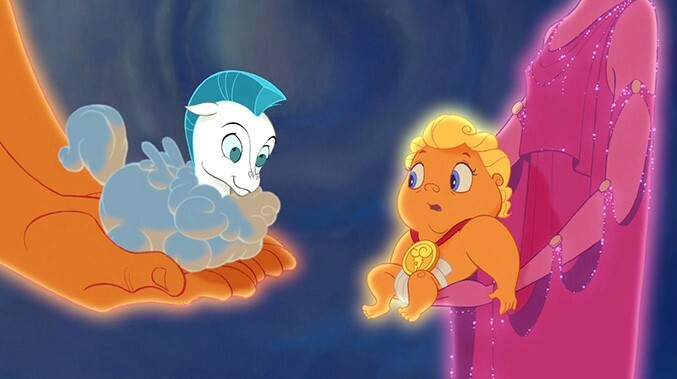 If you happen to be a Disney kid, a useful analogy for synthesis is as follows: imagine you are the most powerful Greek god in existence, say Zeus, and with a wave of your hand, you can make an adorable living creature for your beloved son out of three types of clouds. 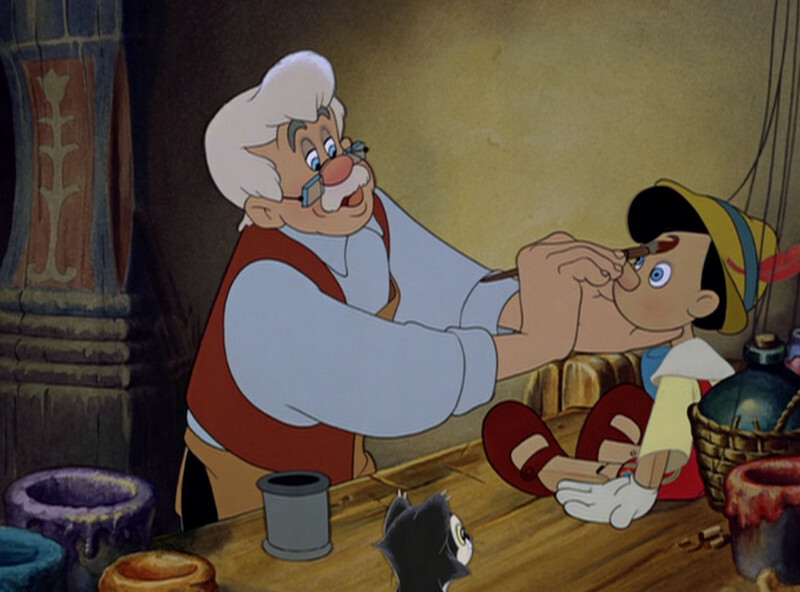 Alternatively, you can think of synthesis as the act that Pinocchio’s father undertook by piecing together bits and pieces of wood to form Pinocchio. Yes, that is another Disney reference, well-spotted, good sir! Despite the repetitiveness, the imagery is still on point. Synthesis is the process that gifted us with Pegasus and Pinocchio. Synthesis is piecing together parts of other things to make a whole. Keep that in mind for when things start to get bloody! In normal people words, an essay can then be thought of as a written piece of work that focuses on analysing a subject from a certain point of view. Putting it all together, a synthesis essay is, then, a written piece of work that focuses on analysing or interpreting a subject from a certain point of view using different components. Now that doesn’t sound so intimidating, does it? 2. 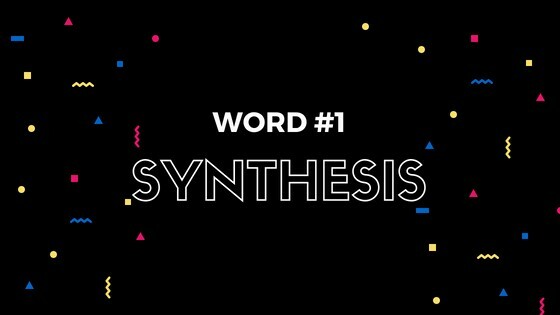 Synthesis Essays: How to synthesise? Right about now, you may be thinking ­– synthesis is all well and good if you’re making a Pegasus or a Pinocchio in a made-up world that is the figment of someone’s imagination, but how do I synthesise when an essay is involved? Thank you for asking that pertinent question, because it brings us to another important lesson in this programme – how to synthesise. You’re also probably asking: forget how to synthesise, precisely what will I be synthesising? To which I reply: why, the components, of course! From now on, we’ll call these components sources. These sources are materials that you will need to craft your synthesis essay. These materials may come in the form of chapters in textbooks, journal articles, other essays, et cetera. They will often be given to you by your lecturer, but at times, you may need to choose them yourself. What I am getting at is this – these sources are the key resources that you need to write your synthesis essay. Here’s a wakeup call for you: there is no shortcut to learning to synthesise your sources. You must put in the hard work for you to get the hang of it! Step 1 is telling you to understand the essay prompt fully. This will take a lot of effort on your part, but it is a crucial step! Understand the topic and understand the instructions given by your lecturer. In doing so, you will have hurdled one of the preliminary obstacles to writing a good synthesis essay. 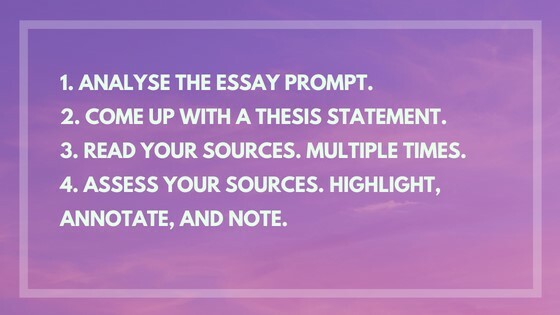 Step 2 is requiring you to write a thesis statement, which will represent your stand or your claim in relation the topic that is contained in the essay prompt. It is important to note that this thesis statement may change depending on what your sources are telling you, which is completely fine and normal. Just remember to stick to your thesis statement no matter what! Step 3 is telling you to go over your sources thoroughly. And I mean thoroughly – don’t just briefly scan through their contents, but orient yourself properly with what is written therein. Or, if you have not yet chosen your sources for your essay, you will have to locate reputable ones that support your thesis statement. Emphasis on the word reputable. That means no Wikipedia sources or anything that lacks credibility! Step 4 is pushing you to go beyond mere reading, as this is a synthesis essay after all! You can use any method which will help you – highlighting, annotating, adding handwritten notes on the pages of your sources. No matter which method you choose, you have to assess exactly how the sources support your thesis statement. However, it is worth asking: what if one of the sources I chose or my lecturer chose does not support my thesis statement? Does this render the source unusable? Not at all. In fact, you can use that source to further prove your point. You can do so by addressing the opposing views presented in the source in question and refute it using your other sources. This will only strengthen your stand even more! Source 1 says that low-fat diets can cause human beings to ingest more added sugar than they actually intended. Source 2 says that fat is not truly the enemy that people have made it out to be, and that added sugar is the true culprit behind obesity and weight gain. Source 3 says that low-fat diets are appropriate for people with certain health conditions, and they can be effective if only undertaken for periods shorter than one year. Beyond that, however, and outside that population of people, low-fat diets have not been found to be more effective than other types of diets. Source 4 says that low-fat diets are effective and that fat is the real cause of obesity and other related diseases. Since Sources 1, 2, and 3 support your thesis statement, you can use the evidence presented in these sources to disprove the claim that is being presented in Source 4. Also, you can look into the process that Source 4 used to arrive at such a claim – is it valid, is it correct? Is the evidence the authors draw on up-to-date? Do the authors have questionable affiliations that may have motivated them to make such a claim? What you find during this particular investigation will definitely help you strengthen your claim. A necessary word of caution: Though you are assembling the evidence from different sources, you must keep in mind that mere regurgitation of the information from your sources will most certainly cause serious trouble in the form of plagiarism. You most definitely will not be able to score an A for your synthesis essay, either. While you are depending on the work of others to prove your point, the whole that you create from the assemblage of parts must be worded by you and you alone. This means that you must never forget to paraphrase as much as possible, use your own words and thoughts where possible, and, of course, give credit where it is due through proper referencing! Direct quotes must also be used only when absolutely necessary, and must be properly cited using in-text citations. Herein lies the complexity of synthesis essays – you must draw on the evidence from your sources, provide justifications for how these support your thesis statement, and reiterate your thesis statement all at once. Weaving these pieces of information together in an artful and intelligent manner in order to produce a coherent whole is what makes a synthesis essay worthy of an A. 3. Synthesis Essays: How are they structured? Now that we have gone over the gritty parts of synthesis essay writing, we can now move on to structure. A synthesis essay is much like the other types of essays in that it has a beginning, a middle, and an end. 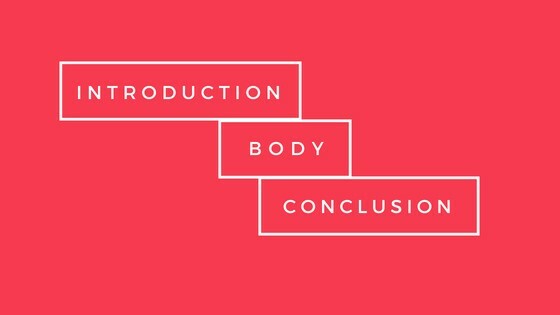 More formally, those parts are known as the introduction, the body, and the conclusion. The introduction of a synthesis essay usually contains the thesis statement, just as the introductions of other essays do. The conclusion serves to reiterate the main points that were presented in the body. But the synthesis essay differs somewhat in terms of its body, as the structure of this part tends to mimic that of a specific type of essay, which is the argumentative essay. A synthesis essay often has body paragraphs that are structured around the main arguments, and each argument draws on evidence from the sources. Attempt to hook the reader and keep them reading by opening with a line that is attention-grabbing but still relevant to the topic. Provide background information about the topic at hand. Talk about the problems that surround the topic at hand which render it worth discussing in the synthesis essay. Mention your thesis statement. Make sure it is general enough to contain the main arguments and establish a clear connection with these important aspects of the essay. Main Argument 1 that supports your thesis statement. Make sure you have strong topic sentence that encompasses one of the major reasons why your thesis statement is correct. Provide a paraphrase or, if a paraphrase is not possible, evidence from source 1 that supports your first main argument. Comment on the evidence from source 1 and state why it is crucial for proving the verity of the thesis statement. Provide a paraphrase or, if a paraphrase is not possible, evidence from source 2 that supports your first main argument. Comment on the evidence from source 2 and state why it is crucial for proving the verity of the thesis statement. Provide a paraphrase or, if a paraphrase is not possible, evidence from source 3 that supports your first main argument. Close the paragraph by analysing the above evidence and what they mean in relation to your main argument. Main Argument 2 that supports your thesis statement. Provide a paraphrase or, if a paraphrase is not possible, evidence from source 1 that supports your second main argument. Main Argument 3 that supports your thesis statement. Provide a paraphrase or, if a paraphrase is not possible, evidence from source 1 that supports your third main argument. Counterargument that goes against your thesis statement. Write a compelling topic sentence that explores a perspective that counters that of the thesis statement that you have crafted. Provide and explain the evidence from source 4. Comment on the opposing evidence in order to establish why it is wrong or not as accurate as the arguments that you are making. Provide refutation from source 1, and based on this refutation, clearly establish how it overpowers the opposing evidence. Provide refutation from source 2, and based on this refutation, clearly establish how it overpowers the opposing evidence. Provide refutation from source 3, and based on this refutation, clearly establish how it overpowers the opposing evidence. Close this paragraph by reiterating why the opposing evidence in source 4 was not as accurate as the perspective you are supporting in your thesis statement. Remind the reader about the thesis statement. Reiterate the main arguments that were established throughout the synthesis essay as well as the major pieces of evidence that supported these arguments. Note: the penultimate paragraph is quite applicable to the sample essay prompt that was given in the previous section, as Source 4 presented a claim that went against those that were seen in Sources 1, 2, and 3. As you can see, a synthesis essay is similar to an argumentative essay, except that the synthesis essay is often limited in terms of the sources that can be used. This is because the sources are pre-selected by the lecturer or by you, the writer. The most important lesson to take away from this section is this – you must have a clear and coherent structure for your synthesis essay so that you won’t get lost halfway through writing. You can most definitely use the above structure to keep you on track towards that A. 4. Synthesis Essays: What topics are good topics? Now, if you were simply presented with the task of writing a synthesis essay without being given an essay prompt or subject matter, you may be wondering what kinds of topics would be suitable for a synthesis essay. There are a multitude of websites out there that provide lists of synthesis essay topics, and they aren’t all bad. 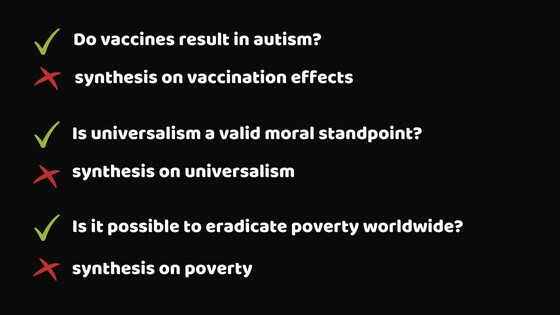 But be mindful that not all of these suggested topics are created equal. First, an ideal synthesis essay topic must prompt you to take a stand on a certain area or issue. Thus, it must encourage debate. In this case, any topic that is fraught with controversy and exhibits a polarising aura will be a good topic for a synthesis essay. And second, the topic must be clear and specific enough that it will be easy for you to derive arguments from it. We hope this guide helped you in your endeavour to write a synthesis essay that is worthy of an A. If you enjoyed this post and found it helpful, then please leave us a like or a comment! If you have any questions or tips you’d like to share, then by all means, leave a comment down below! How to do PESTEL Analysis and score 82% for it.